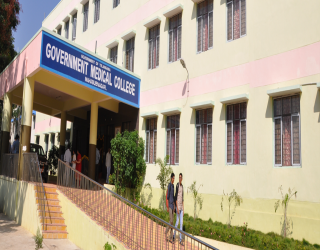 Govt Medical College Mahabubnagar Notification 2018.Director, Govt. Medical College/ General Hospital, Mahabubnagar has released a notification for the recruitment of Teaching posts on contract basis.Check the eligiblity and notification prior to apply for the positions. Last Date for Submission of Application is on Aug 27th, 2018..
Department: Anatomy, Physiology, Biochemistry, Pharmacology, Pathology, Microbiology, Community Medicine, General Medicine, Pediatrics, Dermatology, Psychiatry, General Surgery, OBG, Anesthesiology, Radio-Diagnosis, Dentistry, Hospital Administration, Emergency Medicine, Transfusion Medicine. Qualification: MBBS, MD/ MS with teaching and research experience. Last date for submission of applications: 27.08.2018.